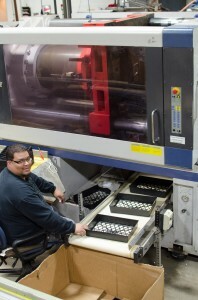 At Harkness Industries, we offer both injection molding and cast urethane. Understanding the difference between these two types of products can make a big difference in your bottom line. Injection molding starts with the creation of what is called a hard tool. Think of this like a mold, a hard mold. The mold has two sides (side A and side B), and once placed together, there is a void inside. This is the part that will be created thanks to injection molding. Once the tool (or mold) is created, plastic is injected inside to create the part required. Cast urethanes are similar to injection molding in that polyurethanes are injected into a tool or mold. Unlike injection molding, however, cast urethanes use a soft tool instead of a hard mold, such as a silicone. Injection molding requires a lot of prep work, the tool needs to withstand a lot of pressure and heat from the injection. 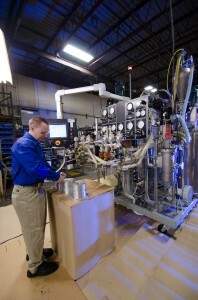 And because of the cost involved, injection molding is better suited for large productions. Cast urethanes are actually most cost-effective because they require a lot less work, stress or heat during the molding process. So, cast urethanes are better-suited for small-run projects, prototypes and the like.